Are you tired of Mom overwhelm? Do the thoughts of resolutions exhaust you? Have you “been there done that” with goal setting and you are still not seeing results? Over the last 3 years, God has taken me on a journey through trials and failures. Completely overwhelmed and burnt out on life, He led me to my knees more times than I can count. As I struggled with resolutions, He began to direct me to run everything thru His filter. When my goals were always self-focused, I burnt out quickly! 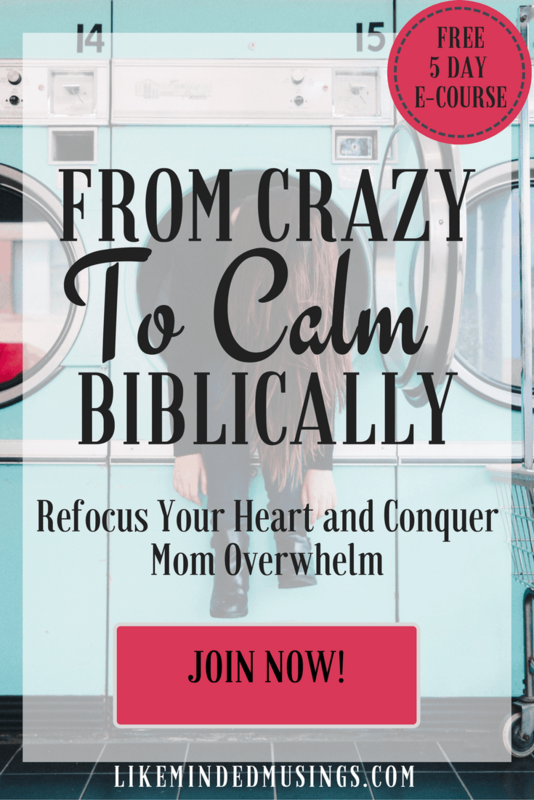 Conquer Mom Overwhelm Join From Crazy to Calm Biblically a FREE 5 Day e-course! Through prayer and as much as wisdom as I could glean from others, He’s been so faithful in helping me conquer the crazy in my life. And guess what? He wants to help you too! He wants you to have a deeper relationship with Him resulting in more peace and focus. Now don’t get me wrong, my life is still crazy at times. And yes, I too fall off course on occasion #nosupermom. But amidst the crazy, I have peace and focus. When I do fall, I can get back up quickly because I know where to begin. I realized God has more truth tucked behind the popular phrase “less is more”. My priorities being God, marriage, motherhood, homeschool, ministry, and business truly have become the foundation I walk on. But how do we go from learning about time management to navigating it with God leading each step of the way? I may not be able to teach you all He has shown me in the last couple of years, but I am going to help you lay the foundation! Sign up for the free 5-day e-course that will guide you to results – not overwhelm you with another to-do list! PS Are you Planner Shopping? 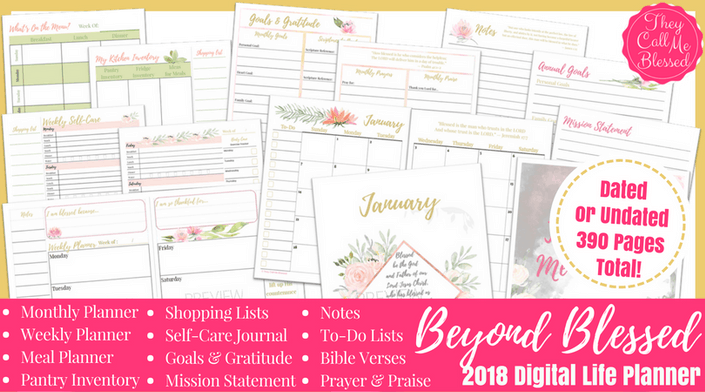 You won’t want to miss this incredible Beyond Blessed Life Planner from my friend Ana of They Call Me Blessed! I’m completely blown away by the Christ-Centered focus, her attention to include all of life’s details (goals, self-care, menu planning, water tracker and SO much more) not to mention it is incredibly beautiful!